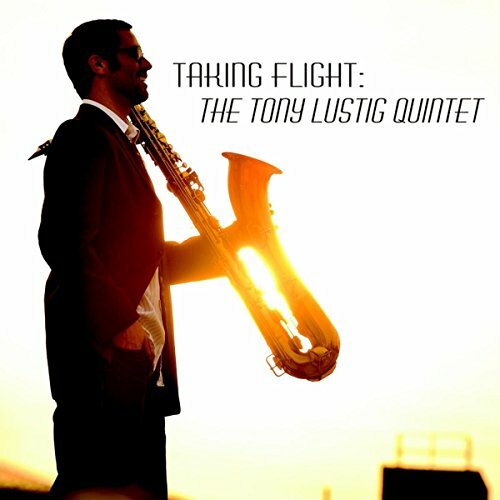 Originally hailing from Detroit, Michigan, Tony Lustig is a dynamic saxophonist who believes strongly in warmth and groove. Taking Flight is a manifestation of those beliefs. Tony began playing violin in grade school. Learning to play the saxophone was almost an accident. Being as there wasn’t a strings program in his school, Tony needed to find an alternate means of expression. His parents offered an alto saxophone left in a dusty corner, abandoned by his older sister. As soon as the horn met his lips he felt that was it – that is what he had been looking for. He spent his childhood years playing around Detroit where he had the opportunity to play with and learn from such Detroit greats as: Marcus Belgrave and Rodney Whitaker. 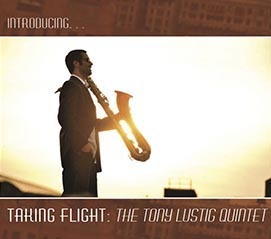 These experiences would lead Tony to further his quest for musical knowledge at both Michigan State University and the prestigious Juilliard School in New York City. Upon making New York City his home, Tony has performed with some of the biggest names in the country - appearing with: Wynton Marsalis and the Lincoln Center Jazz Orchestra, The Christian McBride Big Band, Arturo O’Farrill and the Afro-Latin Jazz Orchestra, Gerald Wilson Orchestra, Birdland Big Band, George Gee Swing Orchestra, Patti Austin Big Band, Cab Calloway Orchestra, even Gloria Gaynor, amongst others. His playing has brought him all across the United States, France, England, Japan, Colombia, Brazil, Panama, and elsewhere. Tony is a fiery character who attacks his music fiercely and passionately. He writes with the intention of stirring the soul. His melodies are memorable and his sound is moving. He strives to inspire all who listen and bring a smile to everyone he meets. I believe in creating music that people of all musical interests and backgrounds would enjoy listening to. For this album, it was my goal to write 8 incredibly different tunes that represent what jazz music means, while still making it enjoyable for someone who has never listened to jazz before. I wanted this album to feel good above all else. The players for the band were easy to decide on because they are all incredible musicians who believe in the same thing - creating music at the highest level possible while still keeping the mainstream ear interested. I believe bridging the gap between musical styles is very possible, and this album is the first step in my journey to make that happen. I believe in inclusion, warmth, and groove. This project is the manifestation of those beliefs. Playlist for TOM OSSANA / DANE BREWER – The Thin Edge – March 30, 2016 MST 7:00 to 9:00 p.m.
"Watermelon Man" was Herbie Hancock's first major hit. Can you think of anyone better to cover than the Tasmanian tubist, Tim Jones? He gets help from Australia's finest: Stephen Magnusson, Frank Di Sario and Niko Schauble - guitar, bass and drums. Next we get two versions "Kattorna" by Poland's most famous jazz/movie composer, Krzysztof Komeda. The first, from the 2005 Tomasz Stanko Quartet live at JazzBaltica-Festival, featuring Stanko on trumpet and the blazing piano of Marcin Wasilewski with his usual trio mates. Then Germany's premiere jazz pianist, Joachim Kühn, and his trio perform Komeda's tune from his new ACT release, Beauty & Truth. Frequently heard pianist, Marc Copland, completes this set with his quartet's take on Duke Ellington's "Mystery Song" from his 2016 Innervoice Jazz Zenith featuring the trumpet of Ralph Alessi. The mid-westerner drummer, Matt Kane, begins the second half with his sextet's cover of Pat Metheny's "Question and Answer" from his new Bounce-Step release Matt Kane & The Kansas City Generations Sextet ~ Acknowledgement. From Manfred Eicher's 2016 ECM we get Continuum from Nik Bartsch's Mobile improvising around Nik's penned "MODUL 4". Influential 1980/90s pianist, Anthony Davis, together with flautist James Newton and cellist Abdul Wadud give us an ethereal treatment of Charlie Mingus' "Eclipse" (We've heard the vocal version in a 50s Debut recording.) from their 1990 Gramvision release, Trio 2. Brian Haas, an American jazz pianist, composer, band leader, and producer, leads Nolatet, a quartet - piano, vibes, bass & drums - performing the Haas tune, "Dogs", a musical tribute to man's best friend. from his Royal Potato Family 2016 release of the same name. Altoist Lee Konitz gets together with Swedish artists, notably pianist Bengt Halberg, in a performance of Lenny Tristano's oft covered "317 East 32nd St." - the address of a NYC jazz venue currently known as gallery café - from his 1951 Membran Audio recording Sax of a Kind. From their 2016 muzoic recording Defuser, The Giving Trio covers Tristano's tune featuring Konitz-sounding Alex Kerwin on alto. Brian Bromberg, sounding like a guitarist on his piccolo bass, gives us another cover of Michael Jackson's "Don't Stop 'Til You Get Enough" from his new Mack Avenue release, Full Circle. Jack DeJohnette's 1994 Blue Note Extra Special Edition concludes the third half-hour performing DeJohnette's "Seventh D" featuring the great Gary Thomas on tenor. Little-known Michael Cain is impressive on piano. Wiki explains: Most typically, minor seventh chord refers to where the "seventh" note is a minor seventh above the root (a fifth above the third note). Aren't you glad I checked? Sweden's Rigmore Gustafsson's ACT 2005 On My Way to You kicks off the Romantic Half-Hour with a vocal treatment of Legrand/Alan & Marilyn Bergman's "How Do You Keep the Music Playing". 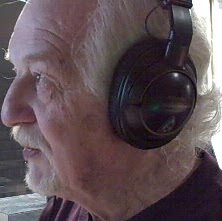 Trombonist Nils Landgren solos and vocalizes as well. Nina Hoss does a curious take on Kurt Weil's "Speak Low" in which she sings from weak to convincing, to help her betrayer understand that she "knows." (The opening line "Speak low when you speak, love" is a play of words on a line in William Shakespeare's comedy Much Ado About Nothing (1600), in which Don Pedro says "Speak low if you speak love." ~ Wiki) After 2:38 the instrumental begins taking your breath away, especially if you had seen the German film Phoenix (A haunting portrait of identity, loss and the search for answers in post-WWII Berlin.). Mark Murphy, one of J. D.'s and my favorite male vocalists, is next with Till Bronner and Murphy's "Love Is What Stays" from Mark's 2007 Verve pressing of the same name. Till shows up on trumpet/flugelhorn. Bill Charlap Trio's Impulse 2016 Notes from New York is next with a cover of Harold Arlen and Truman Capote's "A Sleeping Bee", written for the 1954 musical House of Flowers. June Christy gets us ready for bed with her romantic spin on Duke Ellington's "Do Nothin' Till You Hear from Me" from her 1959 Ballads for Night People. Pram Trio is a Toronto-based ensemble formed in 2009. 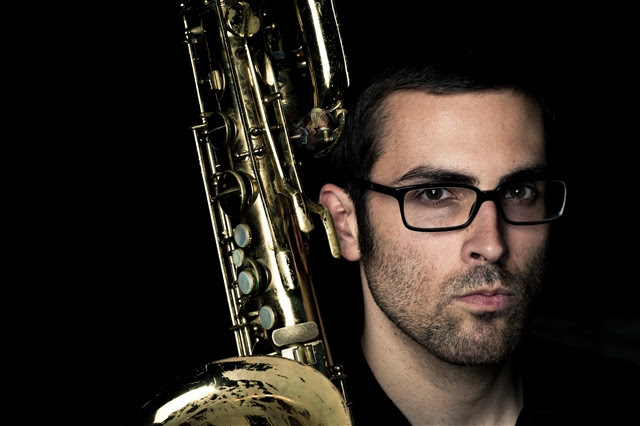 Awarded the 2014 Grand Prix de Jazz from the Festival International de Jazz de Montreal by a unanimous panel, it is a collective of three Ontario-born musicians: Mark Godfrey on bass, Jack Bodkin on piano and Eric West on drums. Dan McClenaghan of Allaboutjazz.com describes Pram Trio as: “edgy and interactive, often urgent, and very much in the school of the modern-leaning piano trios.” Influenced by a wide range of traditional and current jazz artists as well as many other styles, their music is “very contemporary, composed and multi-sectional” (Peter Hum/Ottawa Citizen Jazz Blog). 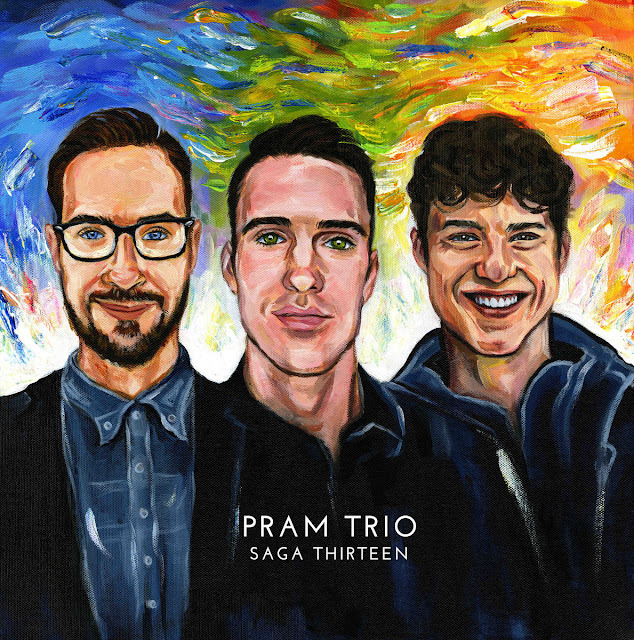 Pram Trio puts a strong focus on collective improvisation and creates an experience that appeals to listeners both familiar and unfamiliar with jazz. 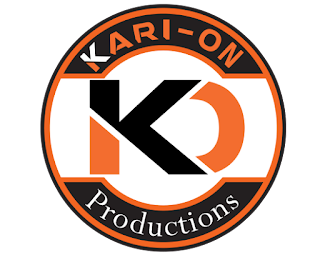 Founded by Mark Godfrey and Jack Bodkin, they released their debut album in the fall of 2013. The album garnered rave reviews with particular emphasis on their writing style. Specifically, Pram Trio’s compositions “often develop into territories unlike from whence they began and elicit a sense of drama from the relative peacefulness of the piano trio environment” (Dave Sumner/17 Dots Blog, eMusic). 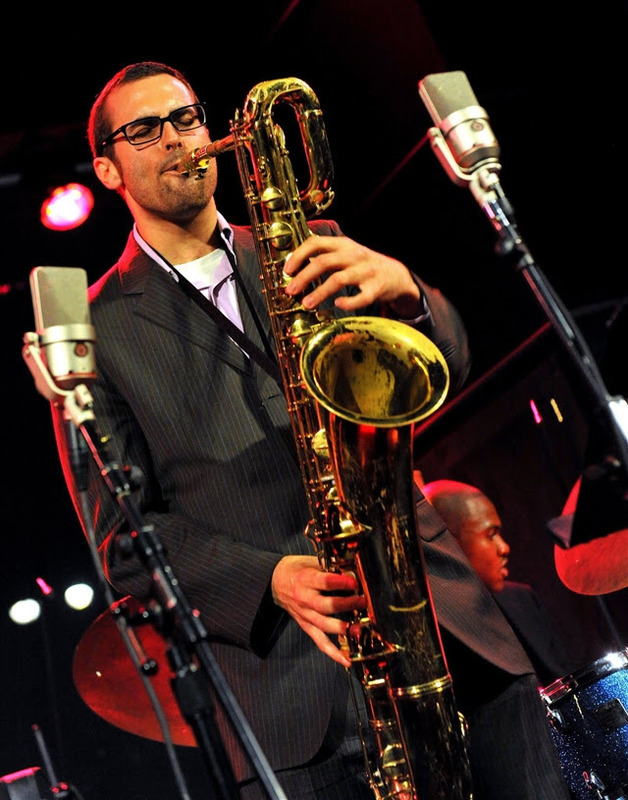 Eric West first performed with the band on their CD release tour that year and officially joined the group before their 2014 Canadian Jazz Festival tour. 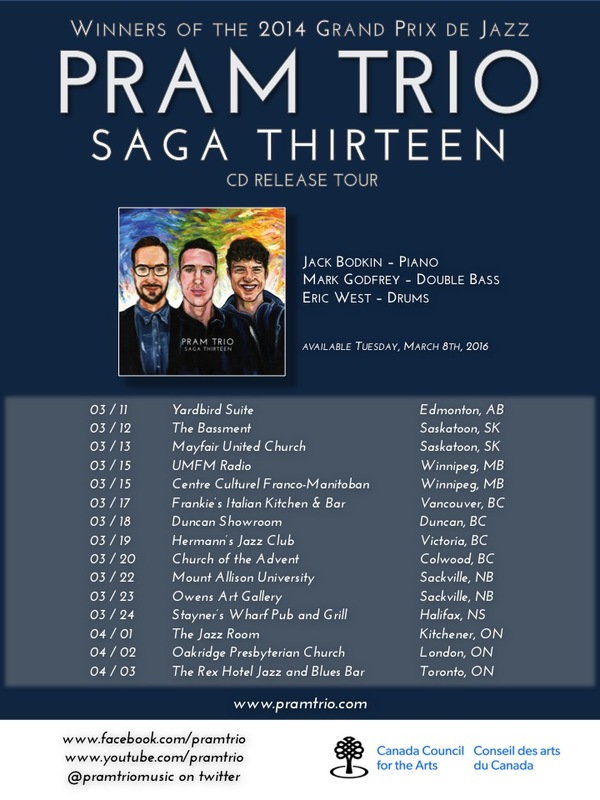 In March 2016, Pram Trio will be celebrating the release of their new EP with a Canada-wide tour. This will be the first EP that includes the current lineup of the band. 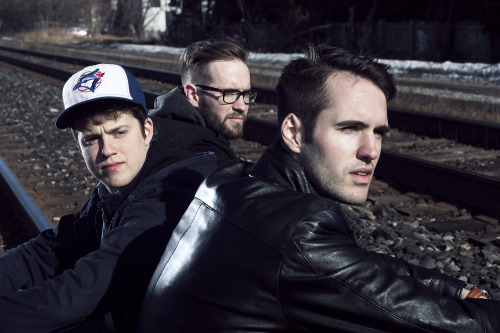 The group has been featured at jazz festivals across Canada including Montreal, Toronto, Vancouver, Calgary, Halifax, Rimouski and Prince Edward County and they are very excited to take their music on the road once again. Saga Thirteen is a six-track album recorded by Pram Trio in July 2015. This collection of compositions represents a period of constant change in the ensemble’s history. Featuring all original music composed by bassist Mark Godfrey and pianist Jack Bodkin, Saga Thirteen is the group’s second official release. 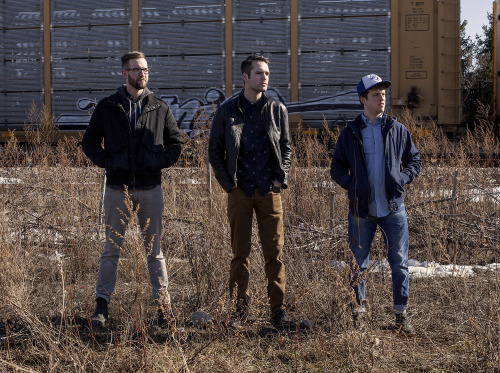 The record chronicles a period in which Pram Trio’s approach to writing and performing was in a state of flux as they developed their new sound with the addition of drummer Eric West. The music takes the listener on a journey exploring the breadth of Pram Trio’s compositions, visiting hard-hitting grooves (Mrs. Kim Visits the Living Room Alone, Undercurrent), soulful melodies (Bucket List), elaborate improvisations (April, Treptower Park) and a simple through-composed ballad (Control). Saga Thirteen is a small sample of the group’s new musical direction and further establishes Pram Trio as a strong artistic voice in the Canadian jazz landscape. 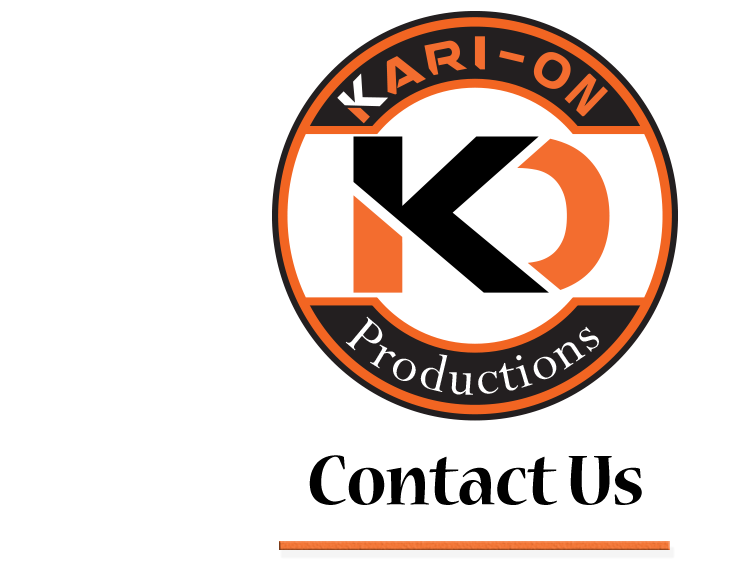 Recorded July 10th and 11th, 2015 at the Canterbury Music Company. Mixed by Jeremy Darby (Canterbury Music Company), mastering by Peter Letros (Wreckhouse Mastering), artwork and design by Camille Lauren.